Traditional QA is Broken. It's time for a new approach. Let's face it. Software testing is hard and getting it right means the difference between a successful application or website and one that falls flat on its face. Crowdsourced testing for Agile teams addresses the problems caused by traditional QA. The existing processes of software testing and quality assurance (QA) aren't keeping up with today's releases. These processes rely on teams of people who do not scale well or respond to the speed of delivery needed for today’s modern organisation. Automation testing, once thought to be the way organisations could improve or solve the QA problem, does not provide the right kind of results organisations need to deliver quality applications or websites. 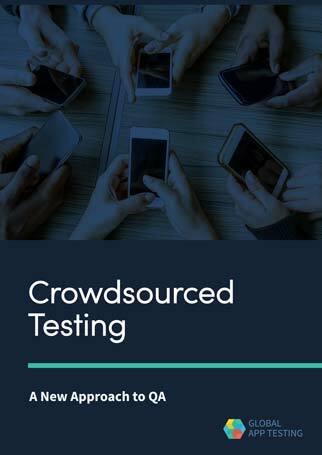 Crowdsourced testing leverages the power of professional, human testers, with limitless scalability and the speed of automation, while keeping costs in line. Most definitely. We're just sharing our knowledge of QA that we hope you'll find useful. Let us know if you have any QA questions we can help you with.